The pearl-clutching was predictable. Less than a year ago, we learned the Obama administration had used a confidential informant — a spy — to approach at least three Trump campaign officials in the months leading up to the 2016 election, straining to find proof that the campaign was complicit in the Kremlin’s hacking of Democratic e-mails. As night follows day, we were treated to the same Beltway hysteria we got this week: Silly semantic carping over the word “spying” — which, regardless of whether a judge authorizes it, is merely the covert gathering of intelligence about a suspected wrongdoer, organization, or foreign power. 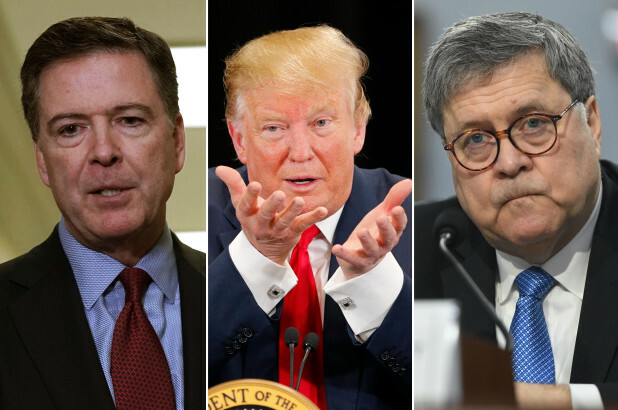 The “spying” question arose last spring, when we learned that Stefan Halper, a longtime source for the CIA and British intelligence, had been tasked during the FBI’s Russia investigation to chat up three Trump campaign advisers: Carter Page, George Papadopoulos, and Sam Clovis. This was in addition to earlier revelations that the Obama Justice Department and FBI had obtained warrants to eavesdrop on Page’s communications, beginning about three weeks before the 2016 election.Me? I’m thinking the tens of thousands of convicts serving lengthy sentences due to the penetration of their schemes by informants would beg to differ. (Gee, Mr. Gambino, I assure you, this was just for you own good . . .) And imagine the Democrats’ response if, say, the Bush administration had run a covert intelligence operative against Obama 2008 campaign officials, including the campaign’s co-chairman. Surely David Axelrod, Chuck Schumer, The New York Times, and Rachel Maddow would chirp that “all is forgiven” once they heard Republicans punctiliously parse the nuances between “spying” and “surveillance”; between “spies” and “informants”; and between investigating campaign officials versus investigating the campaign proper — and the candidate. So . . . what did the dossier say? The lion’s share of it alleged that the Trump campaign was conspiring with the Kremlin to corrupt the election, including by hacking and publicizing Democratic Party e-mails. This allegation was based on unidentified Russian sources whom the FBI could not corroborate; then-director Comey told Senate leaders that the FBI used the information because the bureau judged former British spy Christopher Steele to be credible, even though (a) Steele did not make any of the observations the court was being asked to rely on, and (b) Steele had misled the FBI about his contacts with the media — with whom Steele and his Clinton campaign allies were sharing the same information he was giving the bureau.The dossier, a Clinton-campaign opposition-research project (again, a fact withheld from the FISA court), was essential to the required probable-cause showing; the FBI’s former deputy director, Andrew McCabe, testified that without the dossier there would have been no warrant.